Tributes have been paid to a “lovely lady” from Bean who is thought to have died of carbon monoxide poisoning. An inquest has been opened and adjourned into the death of Linda Frost, 62, who had lived at a flat in Stonewood for the past 15 years. A 63-year-old man from the Isle of Sheppey has been arrested on suspicion of manslaughter and has been bailed until May 28. Neighbour Stephanie Styles, 66, told News Shopper she was shocked when she heard what happened to her “friendly” neighbour. Mrs Styles said: “I had a call from a friend saying had I heard about the lady from Bean who had died, I asked her the name and then I realised it was Linda. “I told my friend that she lived in our square in the road, I just couldn’t believe it. “To go on holiday and not come back, it’s just totally tragic. “She was a lovely lady and she used to come up and have cups of tea with my sister and I, we used to chat quite a bit. 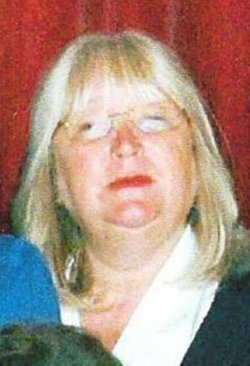 Ms Frost, 62, was staying at a chalet on Coronation Drive, Leysdown, when she was found in a critical condition by a neighbour on April 13. The mother-of-three was taken to Medway Hospital by crews from South East Coast Ambulance and sadly died on April 17. Another friend Ruth Blake,58, of Horns Oak Road, Meopham knew Ms Frost for 18 years and talked of her “kind” nature and commitment to Harvel WI and Archive Group. She said: “Linda and her husband first moved into Harvel in the early 1980s with their three children. Linda immediately joined the Harvel WI where she made many friends. “She later became secretary of the Harvel Village Hall Committee and was always one of the first to volunteer to organise fund raising events to support the running costs of the village hall. “Linda and family could always be found at our annual Harvel Fete, held on the village green, setting up and manning a stall. “Sadly, in the mid 90s Linda and her husband parted company and their house was sold. “Reluctantly, Linda had to move out of the village to Bean. “You often hear the words, when residents move away, “I will come back and help” and in Linda’s instance she never left Harvel. “Most months she attends the WI meeting and regularly joins in the cinema, theatre and dining-out outings. Ms Frost leaves behind her partner Nick, a son, two daughters and 11 grandchildren.